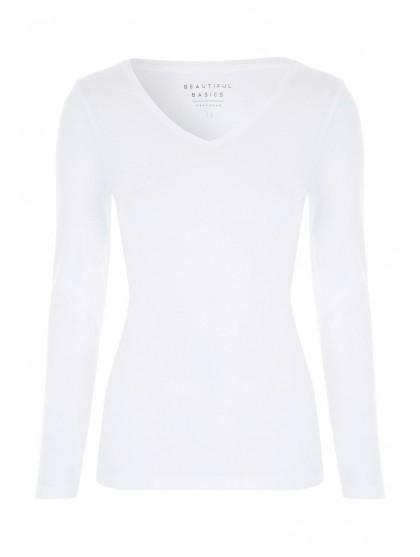 Update your everyday essentials with a comfy top. 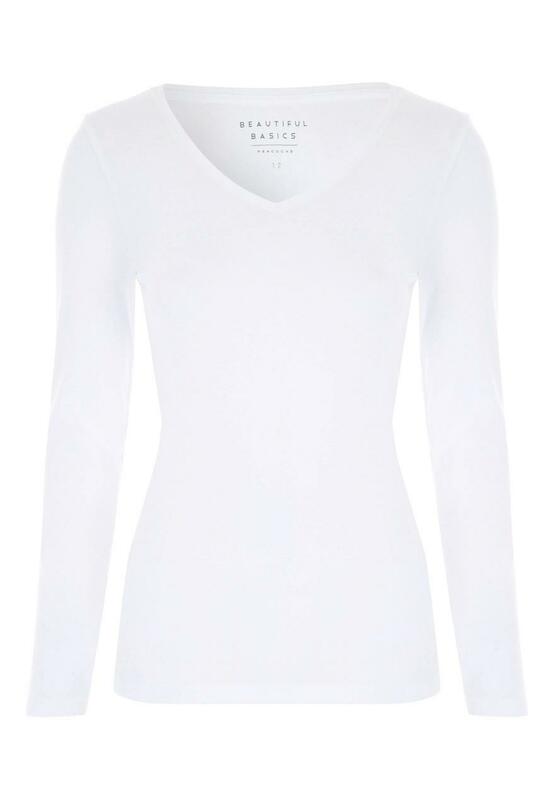 In bright white featuring long sleeves and v-neckline, it's a versatile choice for casual wear. Great price, great quality, wash perfectly.